I've recently researched how Italians celebrate Christmas for my Sweet Italian Christmas trilogy. The series idea sprang from a trip to Naples and the Amalfi coast fifteen years ago with my husband to celebrate our wedding anniversary. We went just before Christmas. As we wandered the narrow, cobbled streets in the old part of Naples, we were enchanted by the street market dedicated to selling presepi, the nativity scenes that are such a feature of Christmas in this part of Italy. Everywhere you go you see them, in shop windows and at the side of the roads. There are markets dedicated to selling the wooden structures, like dolls houses, that they use to display their nativity scenes, and the vast array of tiny figurines. 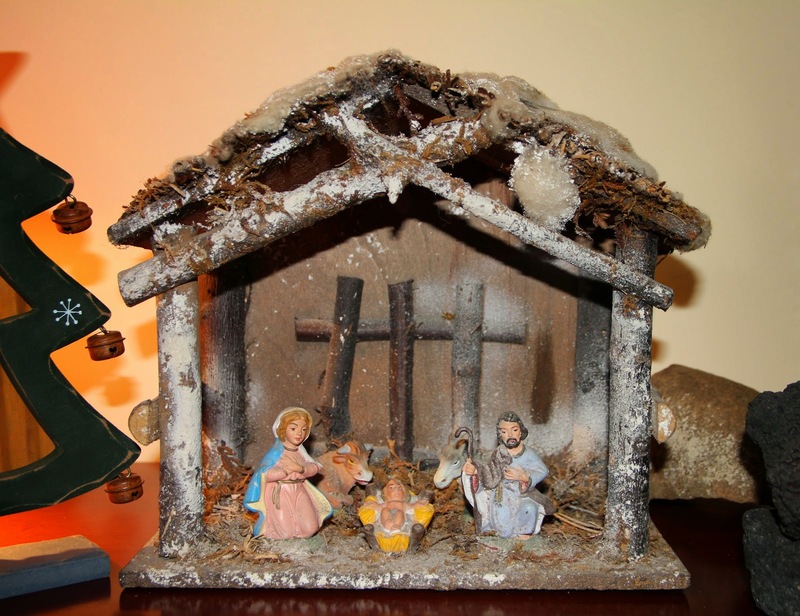 Traditionally, they have a presepe where we would have a Christmas tree. From my research, it sounds as though our custom of having a decorated Christmas tree is starting to spread across the country and in some places they have both presepi and Christmas trees. I had the pleasure of reading up on the wonderful dishes the Italians prepare for their celebratory feasts. On Christmas Eve they have family meals composed of pasta and many fish dishes. On Christmas day they may have a roast chicken or other roast meat and vegetables but they often also have fish and pasta. In Italy, the Christmas holiday period lasts right through to Epiphany on January 6th, when the good witch La Befana comes in the night and fills the children's stockings with gifts. Here is a recipe for some traditional Italian cookies that might be enjoyed at Christmas. Almond cookies that are quick and easy to prepare. Wonderful with a good cup of coffee! In a bowl put ground almonds, sugar, flour, egg whites and vanilla. Mix thoroughly by hand or with a hand blender until the mixture is combined to make a paste. Form the mixture into balls about tablespoon size and place on a parchment-covered baking sheet. Bake for 12 minutes, or until the cookies are golden brown. Helen lives in South West England near Plymouth in Devon between the windswept expanse of Dartmoor and the rocky Atlantic coast. As well as her wonderful, long-suffering husband, she shares her home with a Westie and a burmilla cat. Helen's Sweet Italian Christmas trilogy is set in Naples and the Amalfi coast. 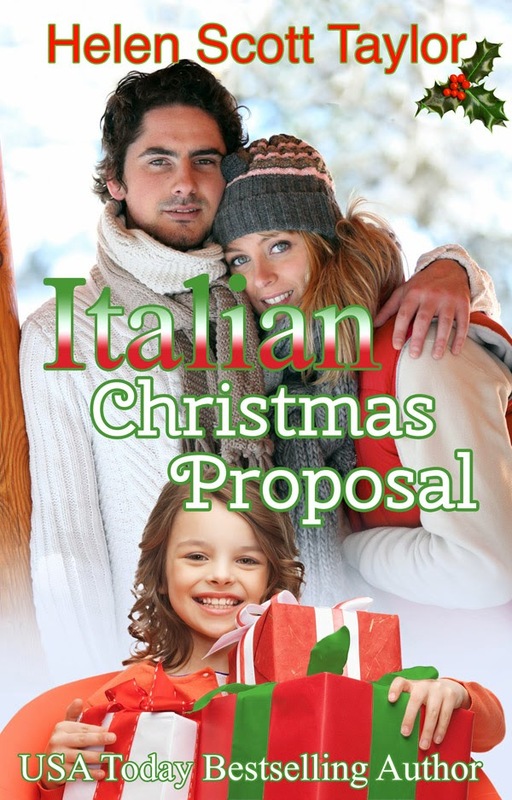 Italian Christmas Proposal, Italian Christmas Baby and Italian Christmas Wedding. Find Helen on FaceBook and Twitter, or visit her website. The warmth of your books make them perfect for the holiday season. Thanks for the taste of Italy in the celebration information and the cookie recipe. Thank you for the kind words, Billie. This recipe is very easy for busy people! The Amalfi coast is amazing. We were there a few years ago. I loved it, Merrillee. I want to go back sometime. I've written four stories set there now!